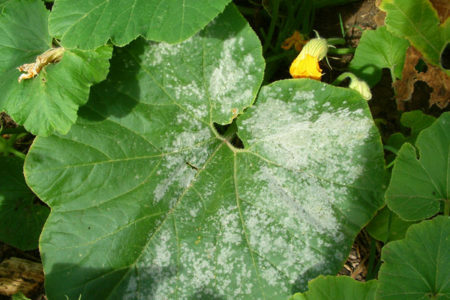 Powdery mildew is the bain of gardeners in warm, humid climates. Powdery mildew can completely wipe out your vegetable plants and destroy flowers. You need to treat it the second you spot it. It is caused by a variety of closely related fungal species. There are many different species each one affecting different plants, but the symptoms all look about the same. All powdery mildews prefer dry conditions on closely spaced plants with poor air circulation and low light. Most at risk in the vegetable world are courgettes, squash, pumpkins, tomatoes, cucumbers or pretty well anything that has large broad leaves. 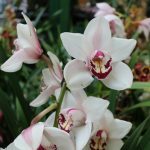 It’s also common in the ornamental flower world, particularly on roses, delphiniums, honeysuckle, rhododendrons and azaleas. The spores are carried around on the wind or can be carried from plant to plant by garden insects. You can recognise it, as the name suggests, from patches of a white powdery coating on both surfaces of leaves, on stems and flowers. If left unchecked, powdery mildew will cause leaves to turn yellow, curl or turn brown and then eventually die and fall off, leaving fruits and vegetables exposed to sunburn and destroying flower buds or reducing the flower quality. To treat powdery mildew prune off all the affected leaves trying your best to be careful so as not to spread the spores everywhere. Destroying any infected leaves you’ve removed will reduce the amount of infectious spores next spring. As always prevention is better than a cure, so to avoid creating ideal conditions for the growth of powdery mildew in the first place, plant in full sun and allow plenty of space around plants to improve air circulation. Regularly thin out excessive vegetation / old leaves. 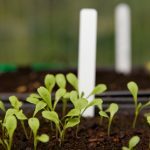 In a greenhouse, where ideal conditions for powdery mildew can prevail, improve ventilation as much as possible and consider adding automatic vent openers. 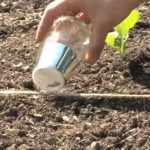 Feeding plants will also help them resist infection or lessen the effects as they will be able to produce new young growth quicker. Because most of the growth of powdery mildews is found on the plant surface they are easily targeted with fungicides. No fungicides are currently being produced for use by home gardeners against powdery mildews on edible crops but for use on ornamentals Bayer Fungus Fighter or Rose Clear Ultra will both give effective results. Both these are available from Henry Street Garden Centre. Nise Post. Thanks for sharing this post with readers. Please share some information about UV technology for treating powdery mildew.